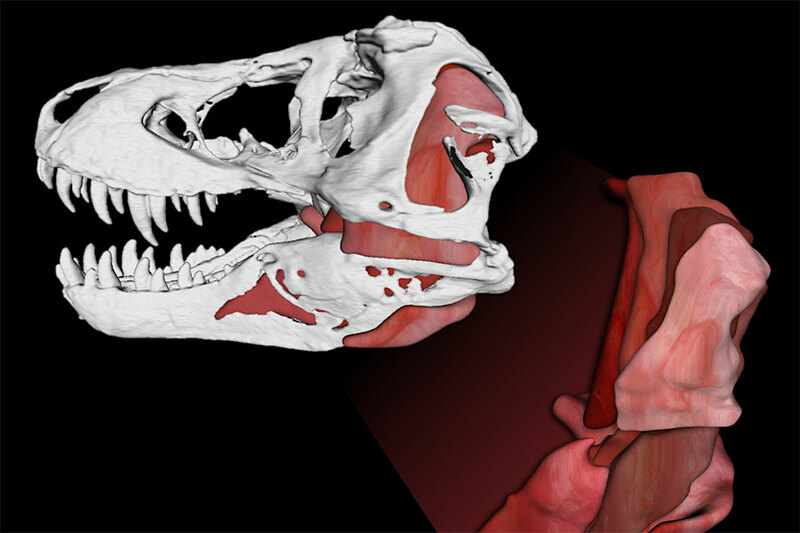 Jaw muscles in Tyrannosaurus rex that helped it generate 8,000-pound bite forces and an astounding 431,000 pounds per square inch of bone-failing tooth pressures. 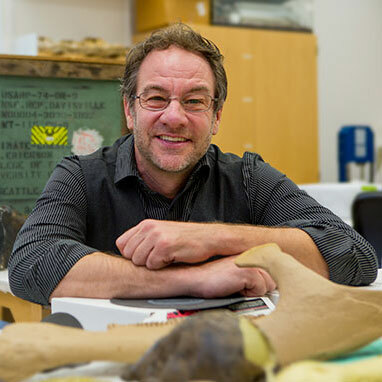 In a study published today in Scientific Reports, Florida State University Professor of Biological Science Gregory Erickson and Paul Gignac, assistant professor of Anatomy and Vertebrate Paleontology at Oklahoma State University Center for Health Sciences, explain how T. rex could pulverize bones — a capacity known as extreme osteophagy that is typically seen in living carnivorous mammals such as wolves and hyenas, but not reptiles whose teeth do not allow for chewing up bones. 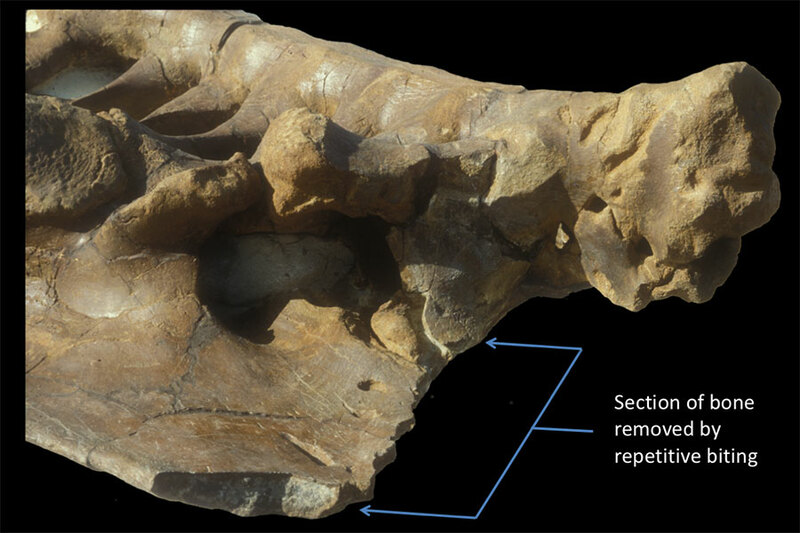 Triceratops pelvis bearing nearly 80 T. rex bite marks. Bracket shows region where the carnivore repetitively removed sections of bone without the benefit of occluding teeth. This work was supported by grants from the National Science Foundation and the National Geographic Society.